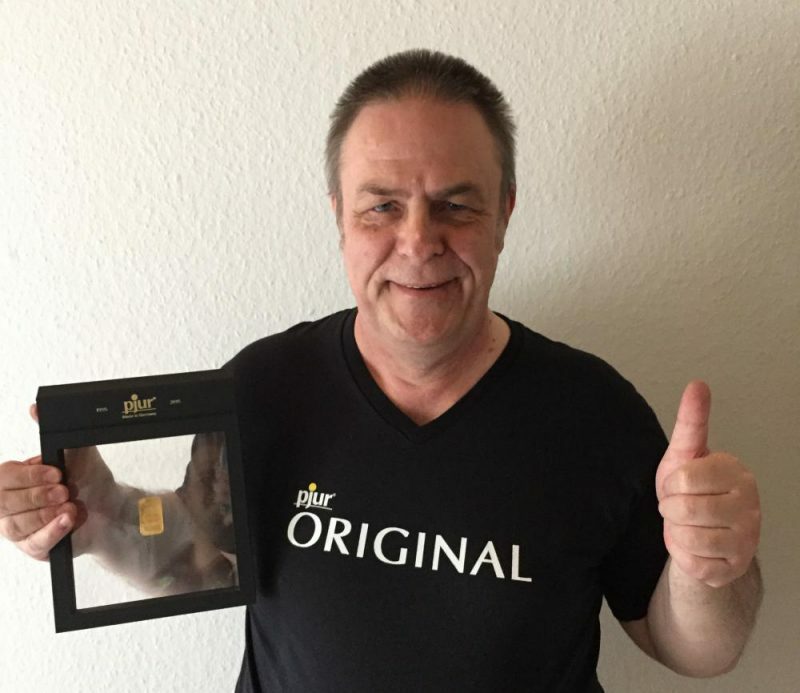 The most recent pjur gold prizewinner, Joachim from Germany, will use his 20-gram gold bar to make his one-year-old granddaughter’s wish come true: “Many thanks to the whole pjur team! I’m going to use the gold to buy something nice for my little granddaughter. 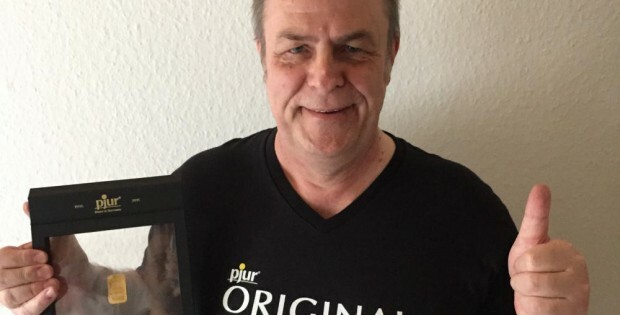 And I’ll save the rest for a rainy day”, wrote Joachim in his letter to the pjur group. “It is lovely to see the different ways in which the gold bars, worth over 700 euro, have been used across the globe. Our winners have bought auto-tuning, a lorry driver’s license, a new camera and much more besides”, says Alexander Giebel, CEO and founder of the pjur group. But this isn’t the only reason that the pjur group awards gold as a prize. “Gold stands for quality, value and purity. All of this is consistent with our products and the pjur philosophy on which all of it is based. This is why we believe that a gold bar is the perfect prize for thanking all our customers”, Alexander stated. Apart from that, the company guarantees that no child labor or mining technologies harmful to the environment were used to extract and process the prize gold bars. New winners were drawn last week. This time, gold bars were won by: Samantha from New York/USA, Nic from Carlton/Australia and Susi from Duisburg/Germany. pjur Go for Gold party packages and gift cards were awarded to: Chained Desires from Baltimore/USA, Sex4Fun LDA from Portugal and Adultshop Tasmania from Australia.